The London centre of Paxman's activities has moved over the years from the early days in Gerrard Street, via a long period in Covent Garden, to the present premises in 197 Long Lane, south of London Bridge station. 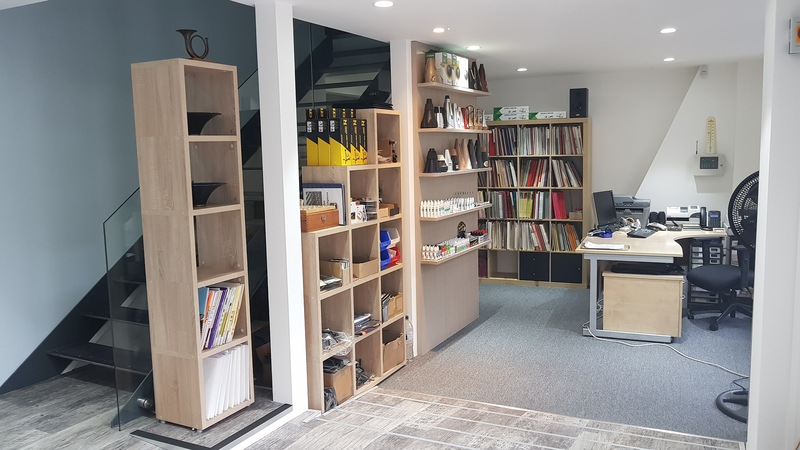 The light and airy showroom - the only establishment in England dedicated solely to horn players - holds an enormous range of new and second hand French Horns of various makes. Horn Accessories and a large collection of Sheet Music, Books, CDs and DVDs are also on sale. Paxman was established at the turn of the century by Harry Paxman, but did not start production of horns until 1945, when no more than twelve instruments a year were made. 1950 saw the arrival in England of Richard Merewether, a professional horn player whose career had started with the Sydney Symphony Orchestra. As his career in this country progressed, he found himself specialising more and more in the high register of the instrument. He had been working on ideas of horn design for a number of years and had researched areas of physics which he thought to be fundamental to the successful design and manufacture of such instruments. He approached Robert Paxman with these ideas, and persuaded him to build horns in f-alto and F/f-alto. These instruments were so successful that Merewether and Paxman continued their association and went on to develop a range of over 50 models. They became a unique duo, known to players all over the world as the figureheads of a highly skilled team. Fifty years of research and development have produced the instruments that put Paxman at the forefront of horn manufacture. Instruments that are much sought after by players world-wide. For as long as there has been a Paxman shop in London there has been an unrivalled on-site repair facility. From Monday to Friday 9.30am until 3.00pm advice is always available, and if work load allows it is often possible to obtain an on-the-spot repair. After many years based exclusively at our factory in Staplehurst, David 'Satch' Botwe is now combining his bell making duties with heading the repairs department. 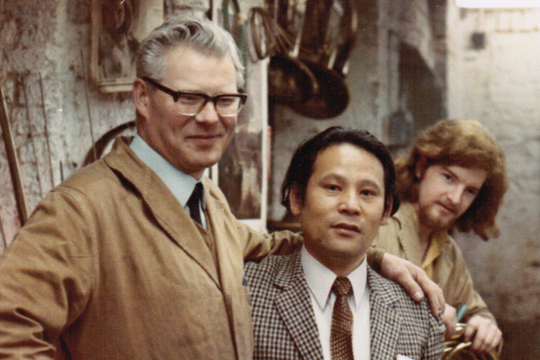 For many years, Paxman horns were built outside London, the most recent location for the Paxman factory being Staplehurst in Kent. 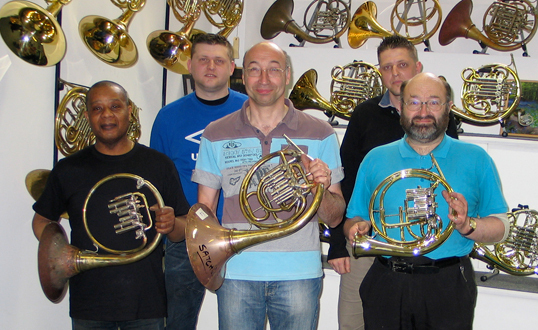 In September 2012, in order to streamline the whole production process, horn assembly was moved up to the Union Street premises in London. 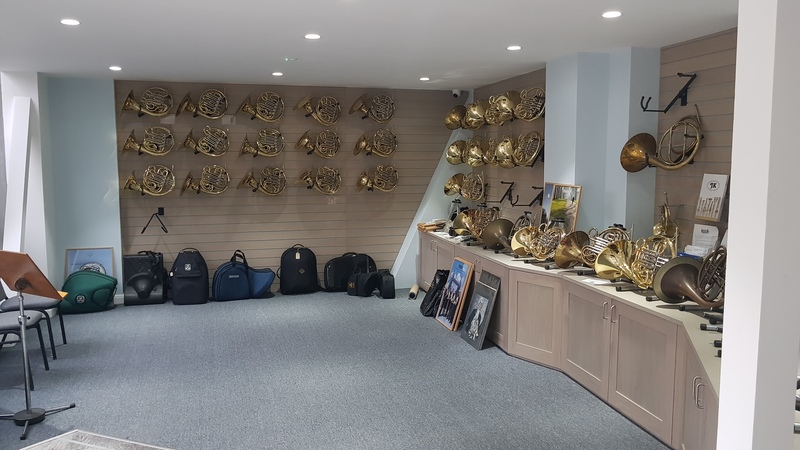 The site in Staplehurst is retained for production of some parts, but all Paxman professional horns are now built, tested and set up in London, by John Turner and his team of craftsmen. We believe that this arrangement better enables us to maintain the high standards of craftsmanship which are fundamental to the outstanding reputation of Paxman instruments throughout the world.